This spot was originally Dutcher's Hardware. The McLeod Building was where the Bank of Italy Building is now. When the McLeod building was torn down in 1921, a small portion remained. 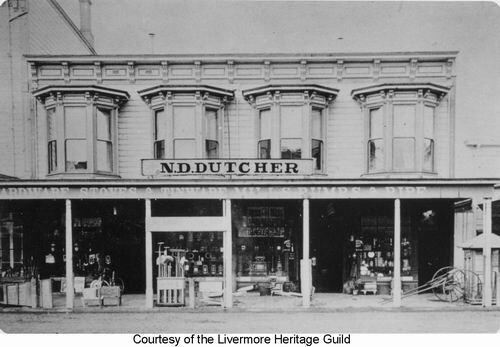 Livermore Cyclery was in this remaining portion of the McLeod building and Dutcher's Hardware. This image appeared in the Livermore Herald Midwinter Edition of January, 1896. The McLeod building is to the left. McLeod Building, on the North East corner of 1st & Livermore, looking north. 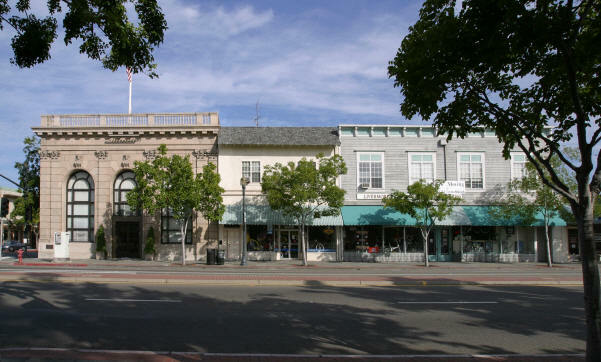 Dutcher's Hardware store is the two story building on the right. 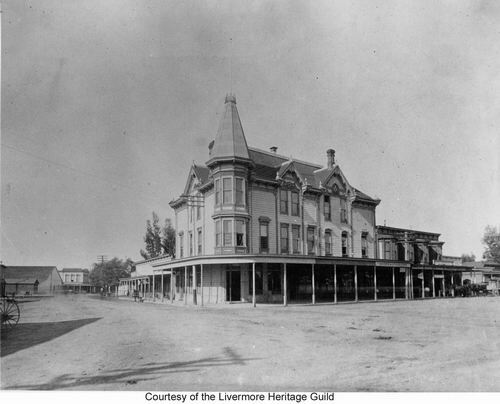 The Farmers Union building (Railroad & Livermore Ave) can just barely be seen on the left (3 upstairs windows with overhang below), just to the right of a barn on the far left. Before the demolition February 1, 2003. 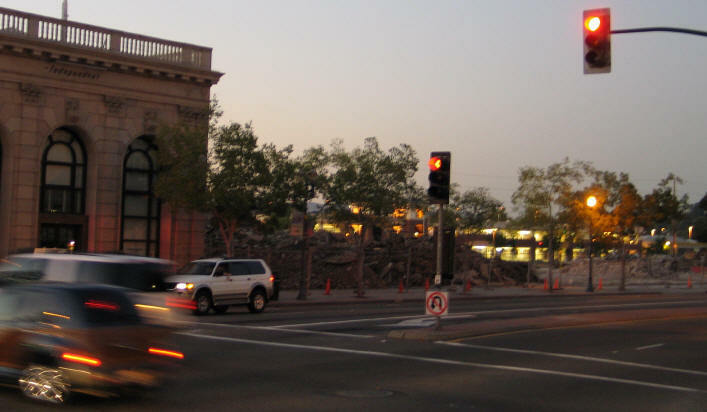 Just after the demolition. Taken from the flagpole.